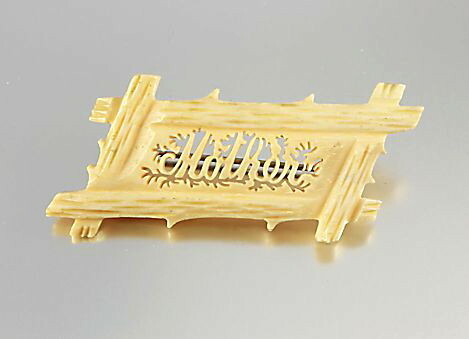 Sweet Victorian brooch with a crisp, detailed carved design. 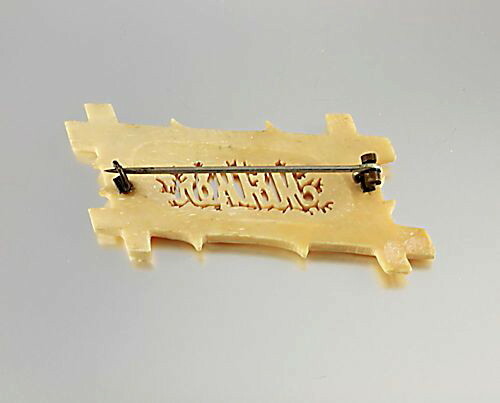 It is made of ox bone and has a simple C clasp in perfect working condition. Dimensions are 2 1/16 inches by 15/16 inches. Brooch is in very good vintage condition. Circa 1900s.